It’s common to think of indigenous people subsisting on whatever nature happened to offer. For millennia, however, the Native peoples of the Oregon Coast took an active role in managing the land and the species that live there. Our ancestors’ sustainable management practices made careful use of natural resources, protected wildlife habitat, and promoted a lush, diverse and productive landscape. The land rewarded them with a generous bounty. As expert basket weavers, the Coquille people also were experts at tending and harvesting the materials for their craft. They used fire proactively, to encourage fresh growth of useful plants. This routine burning managed the growth of brush and cleared the understory in old-growth forests. It produced grassy prairies on ridges and southwest slopes, where plentiful elk were a cherished blessing. Thousands of years before scientists and government agencies began writing landscape management plans, the Coquille ancestors made their homeland a source of sustainable riches. Today, the Coquille Tribe’s vision for our forests calls for a varied landscape, with stands of trees in differing densities and ages. Diverse plant species create habitat for equally diverse wildlife. Meadows and grasslands, dominated by native plants, provide abundant forage. Continuous water quality monitoring and riparian protection ensure clear-running streams and prime aquatic habitat. One goal of the Tribe’s Natural Resources Department is to generate revenue through sustainable timber harvest. 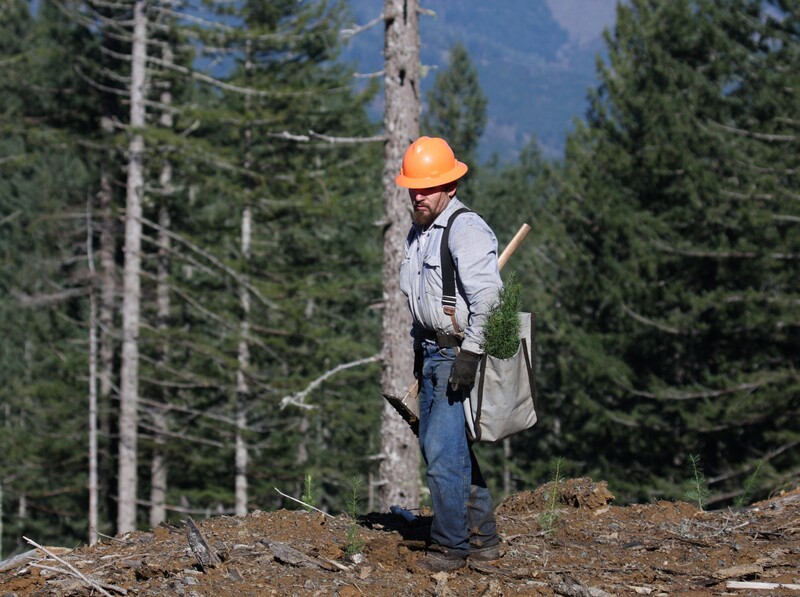 The department’s forestry program prepares timber units for sale, undertaking biological surveys and assuring harvest levels comply with the Coquille Forest Resource Management Plan. The program also manages site preparation, pre-commercial and commercial thinning, and reforestation of harvested timber units. 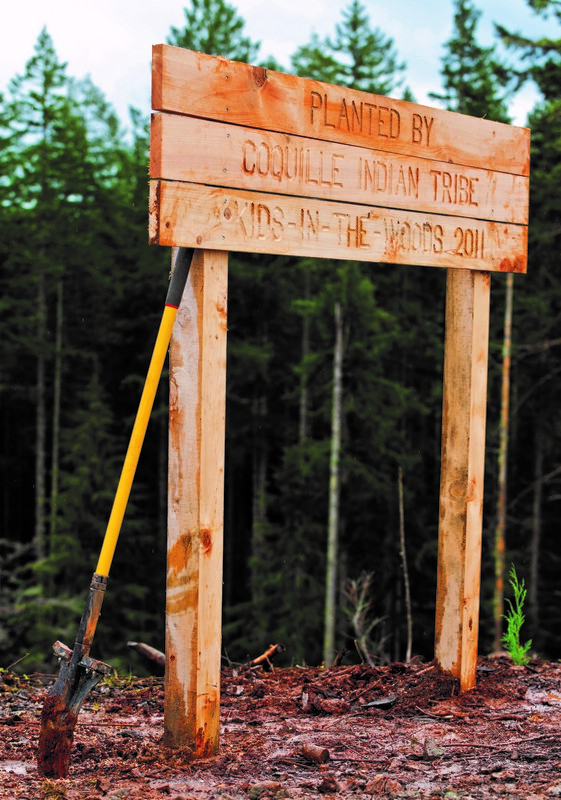 The Coquille Tribe’s excellence in land management has not gone unnoticed. After a rigorous evaluation process, employing internationally recognized standards, the Forest Stewardship Council (FSC) certified our Coquille and Sek-wet-se Tribal Forests as environmentally sound and sustainable. The FSC’s standards and principles provide the Tribe with a set of Best Management Practices (BMP) to follow when harvesting timber. Coquille timber is marketed to mills that likewise achieve FSC certification for their products. Regular audits confirm compliance, ensuring the sustainability of forest resources for future generations around the globe. FSC certification demonstrates the Coquille Indian Tribe’s commitment to our environment, our lands, our customers, and the future well-being of our community. We are committed to continuing and enhancing the forest practices embodied in the FSC certification process. Coquille children take to the forest for a few days each spring, learning the values and practices of stewardship. They learn about reforestation and fire safety while planting trees that will mature alongside the children themselves. In this way, the Coquille Tribe imbues each new generation with the reverence and sense of kinship that bind us to our homeland.